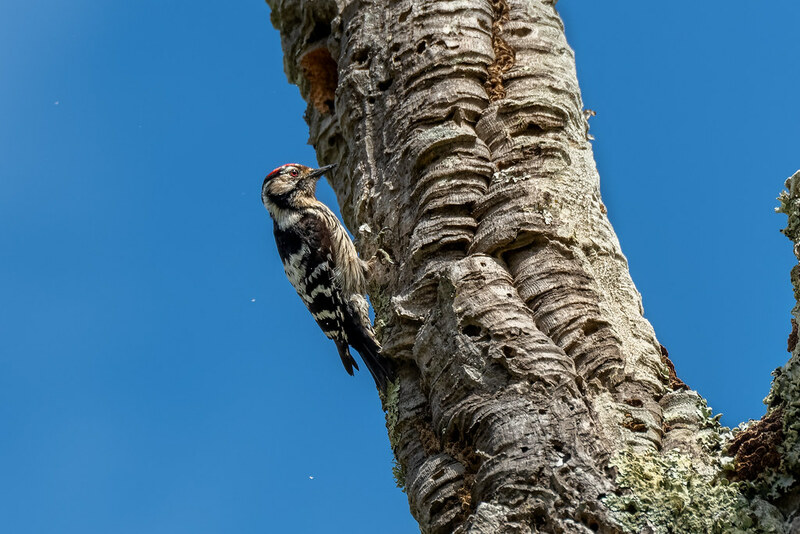 Due to the terrain and the number of trees in the local area, we have large numbers of Woodpeckers and it seems that the Lesser Spotted Woodpecker outnumbers all the other species (Greater Spotted, Iberian Green and Wryneck). 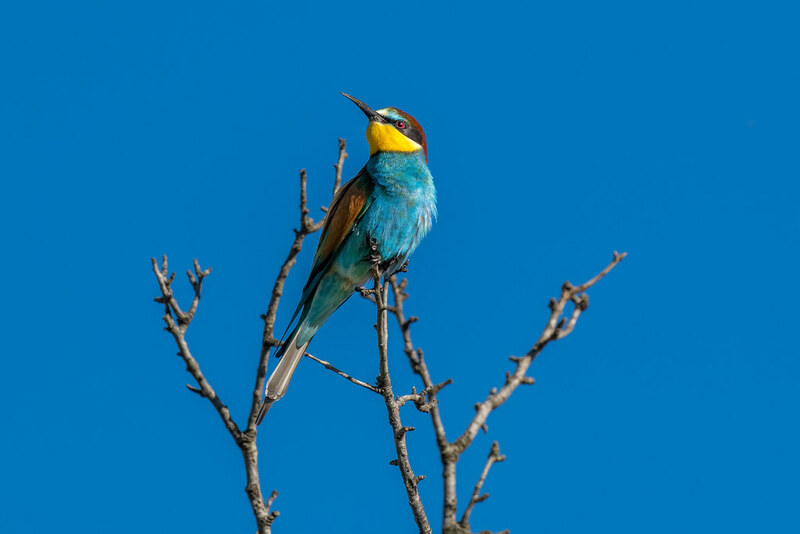 I often hear them tapping away on trees and their call which is similar to the Iberian Green’s “laughing call” but softer and cuter. The name “Lesser” is often thought that its because they are seen less often but it actually means smaller. 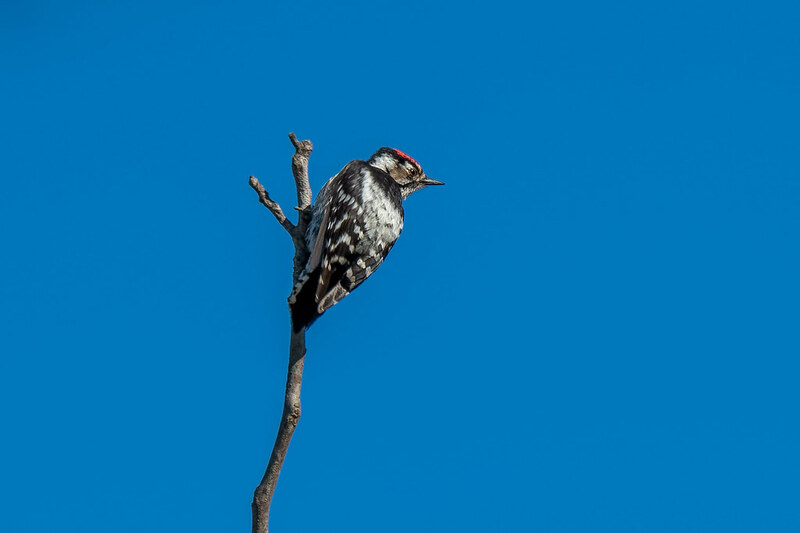 In other words a smaller version of the Greater Spotted Woodpecker. They are the size of a sparrow and the female is often overlooked due to its black and white colours. The male as seen in the photo below has a red crown. Here is a photo from a few mornings ago. It’s quite heavily cropped so not my usual quality of detail. 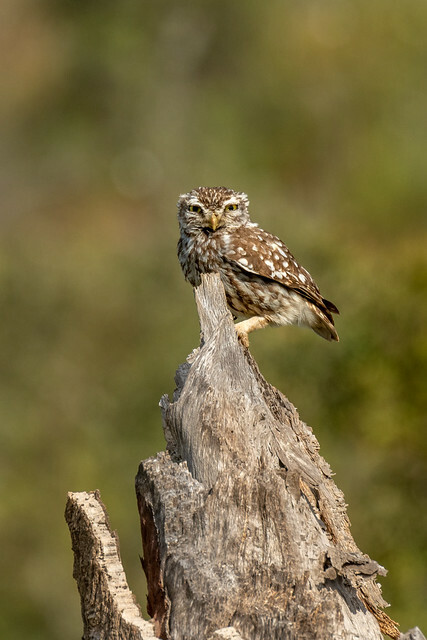 Portugal has a large population of Little Owls and can often be heard calling and seen at anytime of day. However, locally to myself they are not found in large numbers. 2 years ago I spotted one near the Quinta on a few occasions but then never seen again. 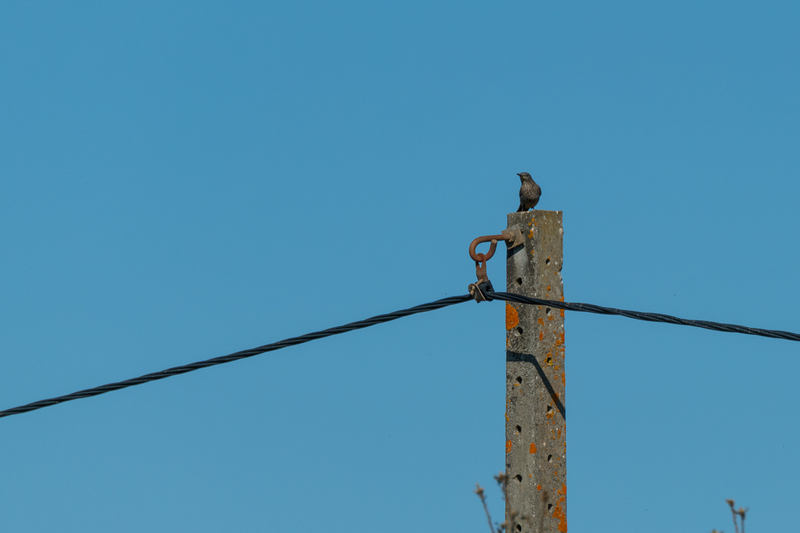 Until yesterday, I was heading into the village late afternoon and I spotted one sitting on the electricity cable in the same place I spotted one before. This afternoon I decided to take a look and there it was sitting on an old tree stump. I almost missed it as it blended in so well. Armed with just my 80-400 lens I snapped these shots. It was incredibly tolerant of me being there too letting me get very close. As they are quite small, I need to go back with my 500mm lens (maybe even with the 1.4x converter) to grab some great detail shots. Hopefully more pictures soon, but for now, here you go. Morning Dog Walk:…..And Now The Female Blue Rock Thrush! 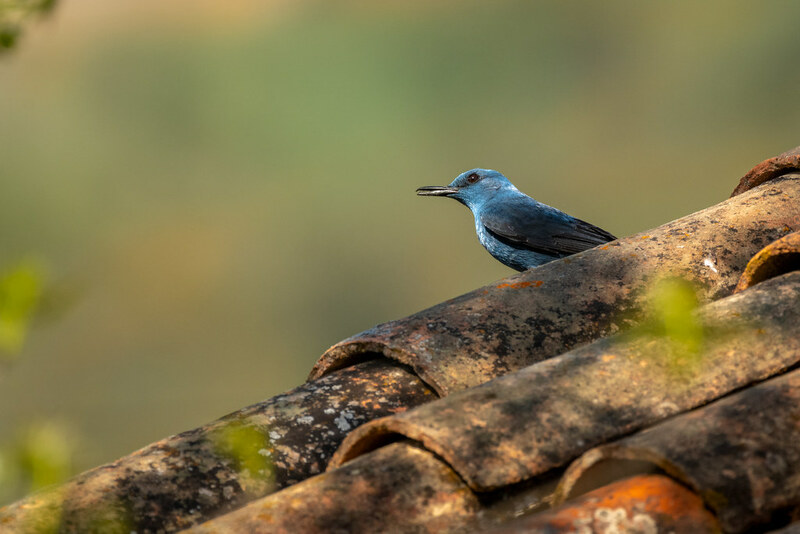 Yesterday morning, after searching for weeks I finally spotted the Male Blue Rock Thrush. This morning we walked through the same location and I spotted a Female. As you can see, the female has no blue colouring, she is dark brown with a spotted chest. She wasn’t so relaxed around me as the male and moved perch constantly. However, she flew in almost exactly the same pattern as the Male, circling the ruined building. I think it’s pretty certain that they are nesting in this building. I won’t go investigating as I am not interested in disturbing the nest (and what seems like hundreds of House Sparrows) but I will be monitoring this site to hopefully capture some great shots.